Solitaire is one of those great card games that has passed countless hours over the course of it’s existence. Eventually it involved from just a card game to a computer card game, and it became a staple of the Windows gaming environment. But now you’re on a Mac, what do you do for your solitaire fix? Get a great free Solitaire app, of course! 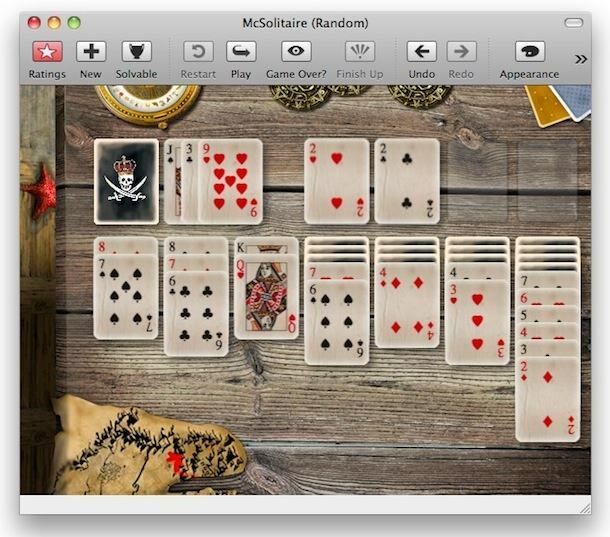 McSolitaire is great, it automatically saves and resumes games, offer tons of customization and theming options, and best of all is totally free to download, which puts it right as my #1 Mac Solitaire client. There are some other pretty junky solitiare apps for Mac out there but this one is the best that I’ve used by far. The screenshots don’t really do it justice, thanks to the theming it’s about as attractive as a solitaire app can get. You can grab the free Solitaire client over at PCV Soft, the developer also has a free Solitaire app for iPhone and iPad too which are equally as feature rich and fun to play. Enjoy! 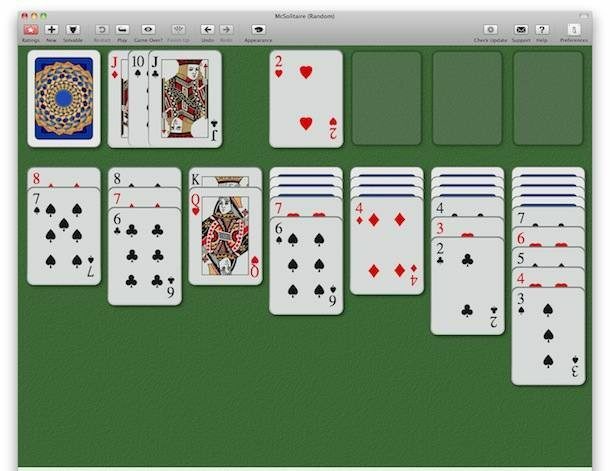 The excellent-though-now-discontinued-but-still-free Solitaire XL is available from CNET. at 86 and tech challenged ….w/o an MIT degree…..I would just like to sign up for your FREE solitaire game….How does one do that?